The most cost effective inorganic spray sealant on the market at a fraction of the cost of its closest competitor. This is not your Fathers spray wax.... Unlike the others on the market which are organic wax or solvent based polymer sealant sprays Reload is an inorganic water-based formula composed from specially modified Silica (Sio2), glass nano components (5% total concentration). Reload is the most cost effective inorganic spray sealant on the market at a fraction of the cost of its closest competitor. Reload offers a slick super hydrophobic layer which repels water like no other. Coupled with its ability to repel dirt & grime this leaves a stunning, glossy, and highly reflective shine. Very easy to use and ideal for enthusiastic or professionals alike. 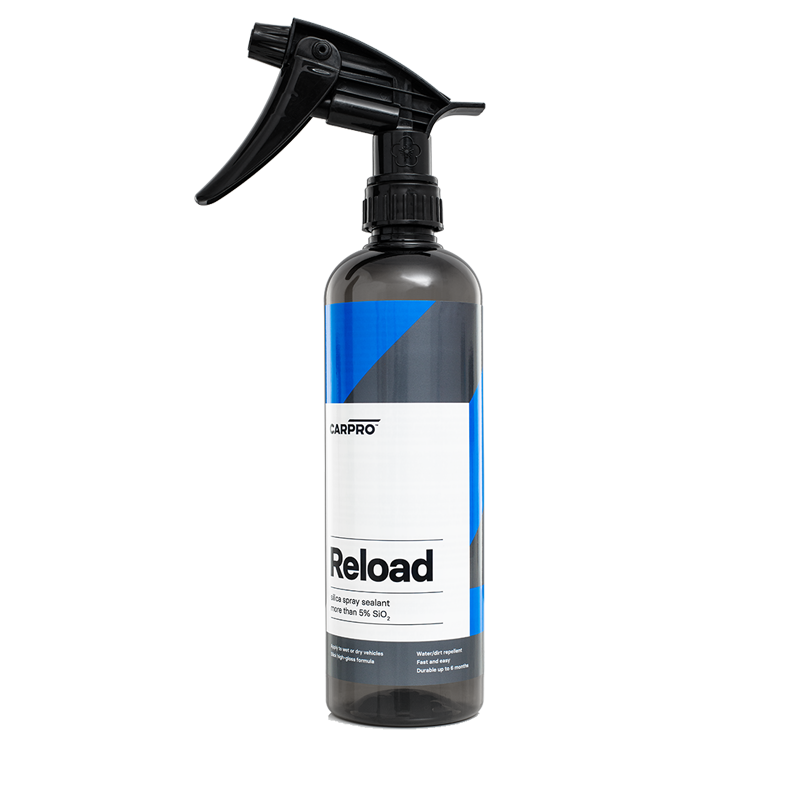 Once applied Reload makes washing the car easier and faster. You will also find the drying is no longer a chore as Reload leaves less water on the surfaces.